Opiate addiction treatment faces mixed reviews in U.S. Though buprenorphine, a drug used to fight addiction to opiate painkillers such as OxyContin and Percocet, was approved for use in the U.S. in 2002, it hasn’t met with the anticipated amount of success, reports this article from Medpage Today. Unlike methadone, the current opiate treatment drug of choice, buprenorphine partially inhibits the brain from receiving the feeling of euphoria associated with opiate use. What’s novel about the drug is that primary care doctors can prescribe it and patients can then treat themselves from home, rather than checking into a clinic. However, many physicians are hesitant to not only treat addicts, but to take on the added responsibility of prescribing the drug. A large problem with the treatment of opiate abuse is that the addict can often become addicted to the treatment drug. 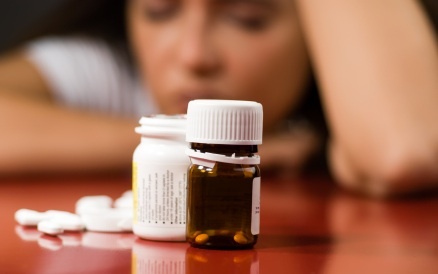 Though it is virtually impossible to overdose on buprenorphine, it’s not exempt from abuse. In fact, the U.S. Drug Enforcement Agency reports that buprenorphine ranks among the top 25 most frequently identified substances analyzed in laboratories and in 2006, an estimated 4,440 emergency room visits were associated with buprenorphine misuse. Despite its abuse in the U.S., buprenorphine has found some success in France, where it’s credited for a decrease in overdose deaths and a six-fold drop in injection drug users. Watch a video from Medpage Today about buprenorphine here. This entry was posted on October 11, 2010 at 8:31 pm	and is filed under Informational, Pain Advocates, Pharmaceutical Industry. Tagged: addiction, DEA, Deaths, doctors, drug abuse, drugs, opiates, overdose, overdoses, OxyContin, pain medication, painkillers, Percocet, pharmacy, pills, prescription drug abuse. You can follow any responses to this entry through the RSS 2.0 feed. You can leave a response, or trackback from your own site.